You are here: Home » Blogging » Should I Haggle Over the Price? Buying a Loft, especially for the first time, is emotional. You’ve saved and scrimped for months—years even—and now you’ve found the Loft of your dreams. You’re in love and you don’t want someone else to get it. Joss Whedon, the mastermind behind Buffy the Vampire Slayer says, “Never sit at a table you can’t walk away from.” That is, don’t begin a negotiation if you’re not willing to say “no” if it doesn’t move in the direction you favor. The truth is…if you can’t walk away from that Loft, you probably won’t do well and may even give up more than you need to. When you’re negotiating over the purchase of a Loft that you’ve become emotionally invested in, it’s more difficult to stand your ground or walk away when the haggling becomes fierce. To succeed in a negotiation, you need resolve based on facts, not emotions. Base your resolve on knowledge of the market: knowing the market gives you the advantage moving on to another similar Loft if this one doesn’t work out. Let your professional do the haggling: Your real estate professional knows which areas in the deal might be negotiable and which probably aren’t. She also knows, or can learn, more about the Loft’s situation. Has it been on the market for a while? Is it being sold by the former residents? Or, is it being sold by a nephew that inherited it? Is it part of a divorce? The more you know about the seller, the better you can judge if they’ll negotiate. Public records can give you some information about both the property and the seller. Are there circumstances in the neighborhood that can give you wiggle room (i.e. a shopping mall going in near by, periodic odors wafting in the Loft’s direction a couple times a year from nearby industry)? Know what the nearby comparable Lofts sold for and why (updated kitchen, new bath, in-ground sprinklers). Ask! If you don’t ask, you don’t know. The more questions you ask, the more information you have to negotiate with. Stick to the basics and don’t get hung up on easily changed decorations, appliances, carpeting or window treatments. You’re buying the structure. Avoid contingencies. If you’re asking for concessions and negotiating the price, don’t expect the seller to agree to a contingency on the sale of the Loft you currently own. Determine which is most important to you: location, price or size. Then, craft your negotiations around the on that is most important to you and your family. Know if you’re in a buyer’s market, a seller’s market or a balanced market so you can tailor your negotiations to the market forces. In a seller’s market, try negotiating for simple additions to sweeten the pot, but don’t offer low-ball pricing unless you know the seller is in a distressed situation. In a buyer’s market, push for options on closing times, upgrades to flooring or appliances or keeping the patio furniture. In a balanced market, expect negotiations to take longer, or agree to things like splitting costs. You want the seller to feel that he came out well, even if you win some concessions in the negotiations. 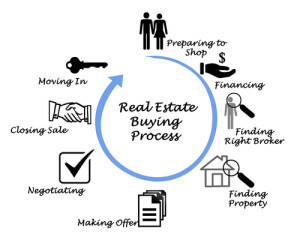 When both the buyer and seller feel good about the transaction, the negotiations will be smoother and more positive.